Effective Master Data Management (MDM) and product development efficiency are closely linked. They are both concerned with data optimisation, decision-making and process improvement principles. Business process efficiency requires effective ways of working as well as better ways to manage (i.e. create, update, release, share) data. Digital product development and validation rely on digital data, process, simulation, etc. and all sort of metrics (business intelligence) combined with people and organisational data. Data created once, used many times, will enable economies of scale (e.g. mass / volume production) and economies of scope (e.g. platform strategies); hence the importance of managing data effectively (doing the right thing) and efficiently (doing it right). Single Source of Truth (SSoT) is the practice of structuring information models and associated schemata, such that every data element is stored exactly once. From a business perspective, at an organisational level, it means that data is only created at source, in the relevant master system, following a specific process or set of processes. SSoT enables greater data transparency, relevant storage system, traceability, clear ownership, cost effective re-use, etc. SSoT refers to a data storage principle to always source a particular piece of information from one place. 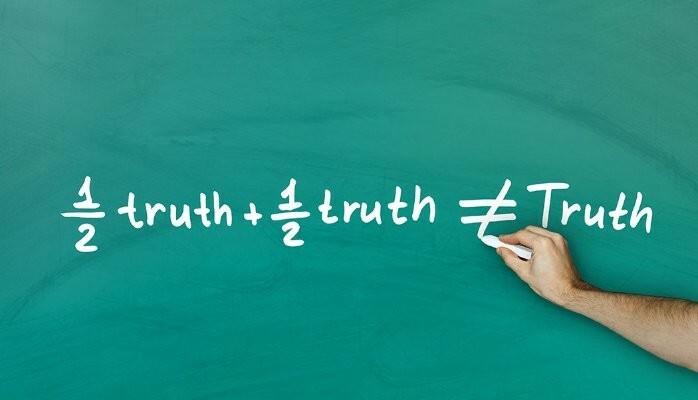 Single Version of Truth (SVoT) is the practice of delivering clear and accurate data to decision-makers in the form of answers to highly strategic questions. Effective decision-making assumes that accurate and verified data, serving a clear and controlled purpose, and that everyone is trusting and recognising against that purpose. SVoT enables greater data accuracy, uniqueness, timeliness, alignment, etc. SVoT refers to one view [of data] that everyone in a company agrees is the real, trusted number for some operating data. SSoT is often mistaken for a single database or repository for all data; rather it implies an intelligent enterprise data model constructed for optimum data integration and control across multiple sources, avoiding duplication and redundancy. Business decision-making processes rely on reporting and business analytics tools gathering data from multiple sources to ‘transform‘ it into the relevant format or integrated content views. The ‘truth’ is indeed rarely, if ever, in plain sight. Also, getting to a SVoT is a highly politicised process, as people have strong views on what data drives what decisions, where multiple views might be conflicting, combined with the ‘truth‘ being a moving target. Having the a new version of the truth repetitively too often can cause more disruption than harmonisation and consensus. SVoT implies that everyone is looking at the same numbers; there is no confusion. SSoT is about data input optimisation (integration, input / output synchronisation), while SVoT is really about business analytics and reporting optimisation (consolidation, alignment). In a nutshell, SSoT and SVoT principles do not contradict each other, and can be either combined or considered independently for different purposes and business objectives. SSoT will appeal to data model architects and IT solution integrators, while SVoT will speak to data scientists and business intelligence architects. Achieving SVoT without SSoT is possible with a robust business analytics engine, however it is much more challenging and one can argue that it will not be sustainable in the long term. SSoT is a mandatory foundation to optimise data structures at source and minimise essential non-value added activities. Achieving SSoT first will drive further business and IT benefits, toward creating a leaner organisation. The SSoT strategy is most likely to be re-validated and potentially re-aligned at every significant digitalisation milestones of the organisation; SSoT is more likely to drive SVoT than the other way around. This post was originally published on LinkedIn on 5 April 2016.